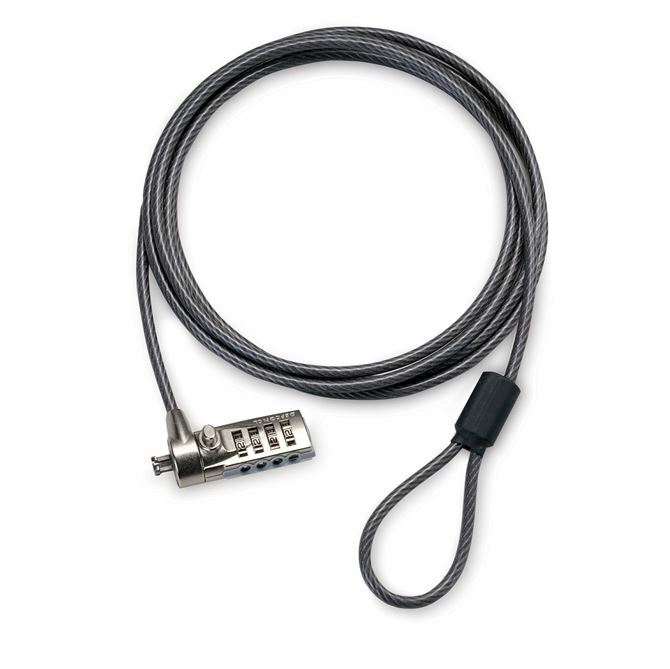 Targus DEFCON Combo Lock (CL) - Protecting your notebook from theft can save you both money and prevent important information from falling into the wrong hands. 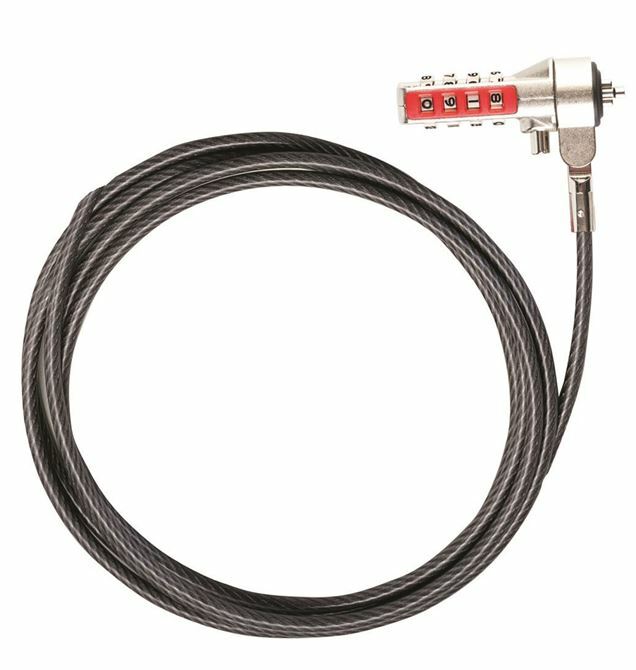 This 6.5 foot cut-resistant, vinyl-coated, galvanized steel cable is a great way to reduce the risk of theft. 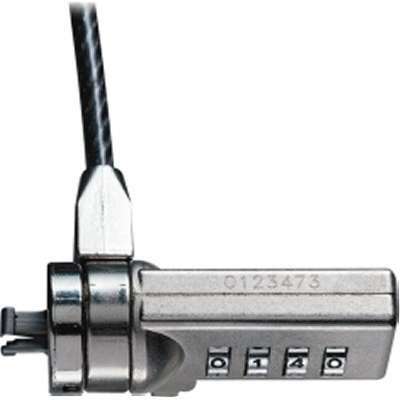 The cable utilizes a user-settable combination lock with up to 10,000 possible settings. Lock Slot: Lock attaches to your laptop using the rectangular Lock Slot (standard on all laptops); impeding theft and acting as a great deterrent. Security: Kevlar reinforced cable offers greater resistance to the more determined thief. Security Lock: Security mechanism is locked and unlocked using a preset combination.